Want some really unique accessories? 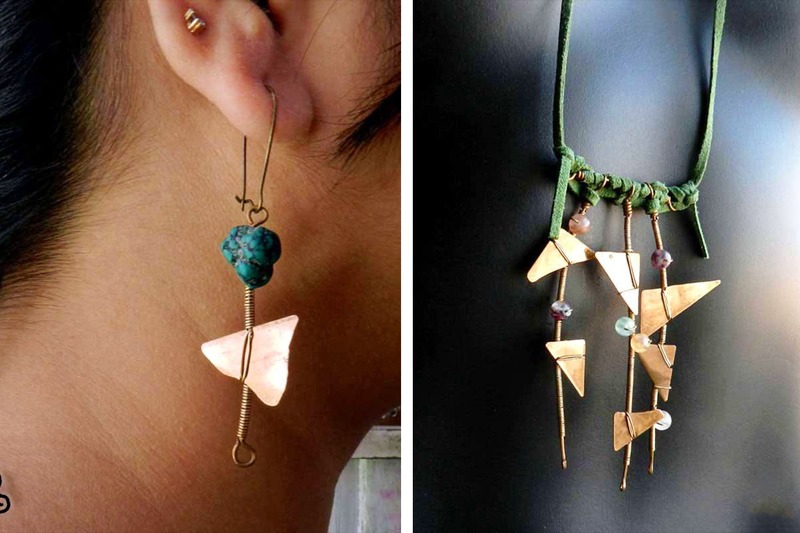 Pick up jewellery handcrafted with recycled and upcycled materials by city artist Shohini Gupta. Her work really pushes the boundaries of creativity. Fabric And Crochet Jewellery, Beaded Jewellery, Metal And Found Material Jewellery. Shohini uses materials like papier mache, old and broken jewellery, fabric, beads, copper and brass to create imperfectly beautiful art in the form of earrings, pendants and necklaces. Be it danglers and hoops made out of copper and beads or brass pendants with leather cords or Africa-inspired fabric chokers or necklaces made of corals, shells and small conches, Shohini’s jewellery exudes an eccentric charm. Pisces and Bashonti are two of her very popular collections. While the former comprises fish-shaped copper pendants with coral chips, lava stones, brass washers, suede ribbons and leather cords. The latter is a collection of hand forged copper jewellery, inscribed with Bengali phrases - an ode to the many springs spent in Shantiniketan, where music and poetry of Tagore became one with the vibrant hues of nature. Shohini’s artistic sensibilities are so inspirational that we wish she made more than just jewellery. Maybe we are just been greedy but we would love to see her art translate into more wearable accessories.